My name is Steven Nesbitt and I am an artist, specialising in paintings of dogs. 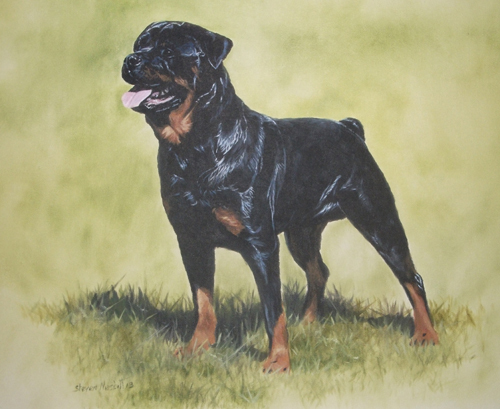 During the past twenty five years I have painted most dog breeds. I have a trade stand at Crufts and attend dog shows throughout the year. 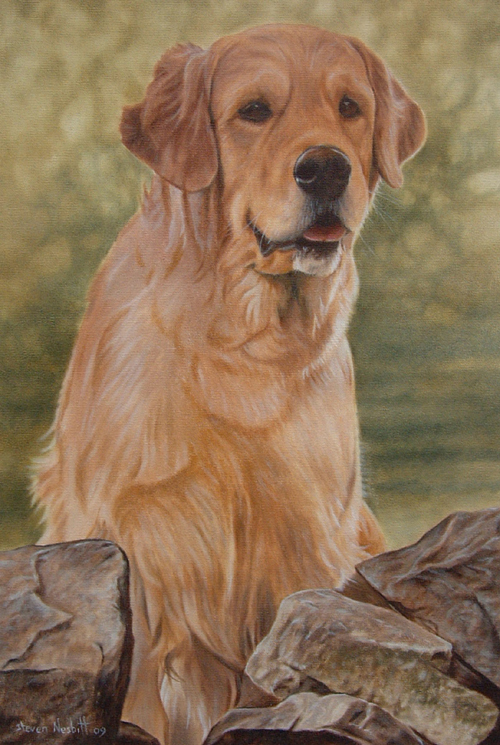 In my portraits, I paint in a realistic style and try to get a very good likeness of my subject. If you would like a portrait of your own dog(s), I can take photographs myself to work from or you can email me your own photos. Prices start from £100 (16" x 12" oil on canvas). For more information, please email info@stevennesbitt.co.uk or call 01953 600590. My paintings are also available as limited edition prints and have been published as greetings cards and calendars.